This summer is flying by on wings of lighting. I cannot believe that it is the last day of July. I’m happy to report that the fly fishing this past month has been simply phenomenal. I am truly blessed blessed to live in Idaho, in the heart of some of the best fishing available. The excellence of the fishing is one of the major reasons for neglecting the blog recently. 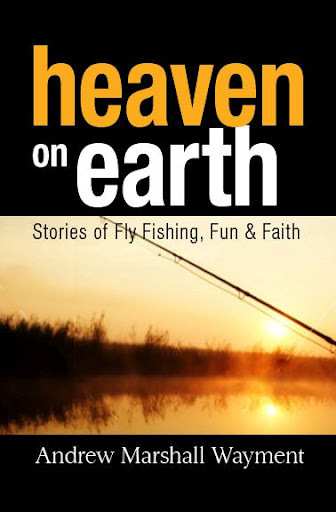 I wanted to share with the readers a quick update on my book, Heaven on Earth: Stories of Fly Fishing, Fun & Faith. My book was released in paperback on April 1, 2012 and, since that time, there have been numerous positive reviews, many of which I have shared on this blog. In fact, most recently, on July 13, 2012, Josh Houchin over at the Solace Through Solitude blog posted an excellent review of the book. For those interested, here is the LINK to Josh’s review. Notably, on amazon.com you can read numerous positive reviews of the book. Be sure and check them out! Thanks for stopping by. Previous Post THE WHITE WONDER: GOING OUT WITH A BANG!